Albion records were produced by the German company, Beka from 1912. 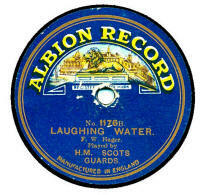 Some of the early ones are "John Bull" records, over-pasted with a plain blue Albion (see last scan). The others were an attractive (and very British-looking) dark blue and yellow design. Some of them say "Manufactured in England" on the label, others don't, so I suspect some may have been made in Germany, though it's odd that the labels don't mention the fact. 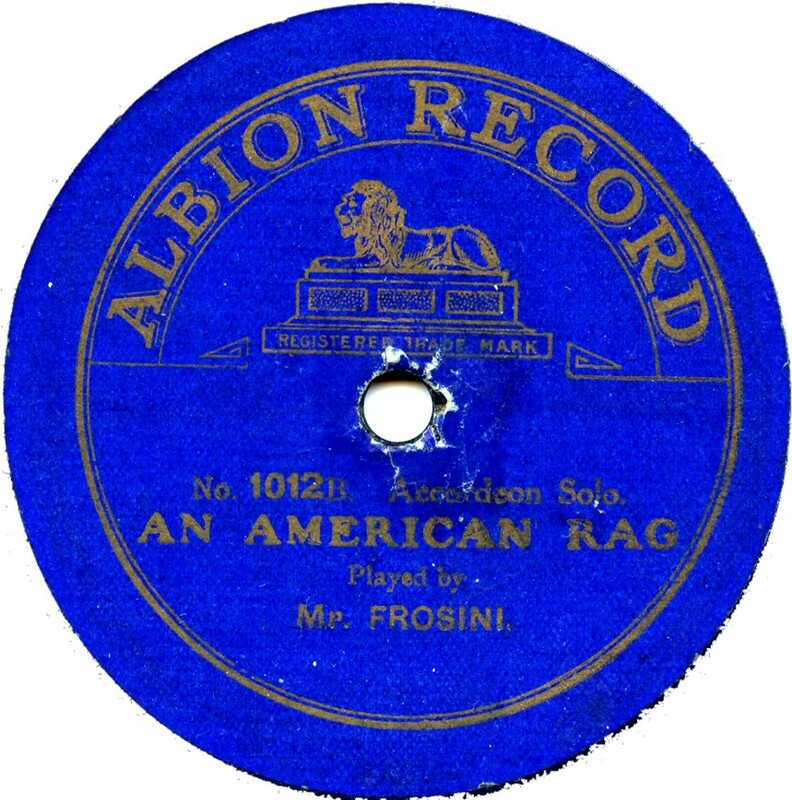 The discs were sold on a "tally man" system, where the customer signed an agreement to buy a number of records (say, 50) over a period of a year, for which a free gramophone was supplied. The records probably cost 2/6 each. The catalogue numbers started at 1001 and ran until about 1449 (the highest found so far). However, there are reports of isolated ones with numbers lower than 1000 (see below), which may mean they actually started at 100, or even at 1. Although all very similar, I have found 4 different label designs (including the plain paste-over one). Two have no country of manufacture and one, which I trhink is the later design states "MANUFACTURED IN ENGLAND". The difference between the other two designs is mainly the lion shown recumbant; one one stylke the lion is well-drawn, but on the other, it is rather poorer, almost cartoonish! 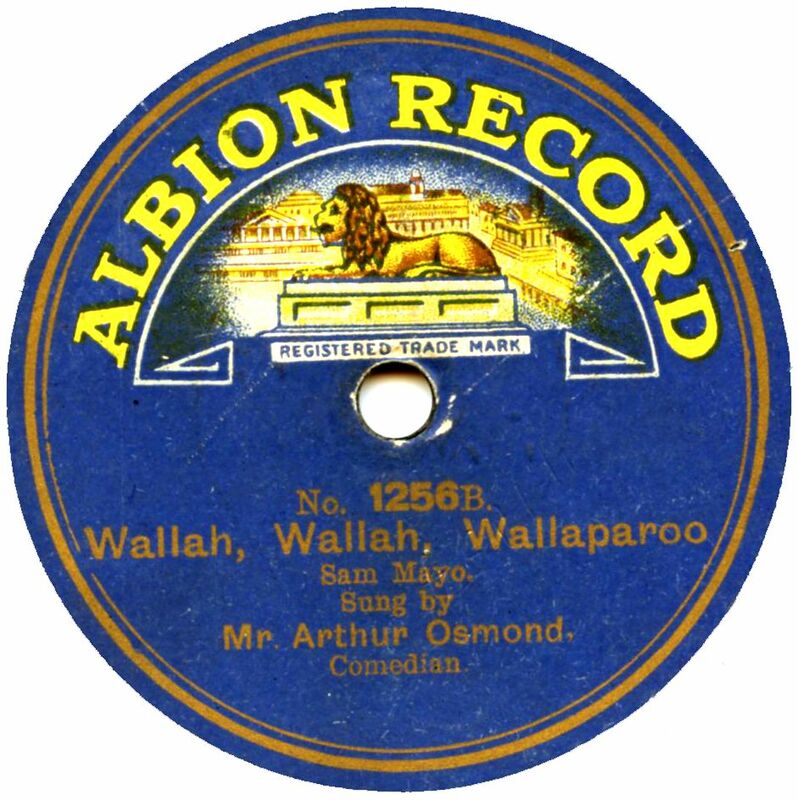 As the "good" lion also seems to be on the later "Manufactured in England" issues I have, I am going to assume the "cartoon" lion represents the early issues. But we shall probably never know! 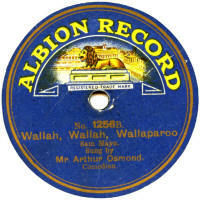 There is also a "good lion" design showing "Recorded in England - Pressed Abroad" around the foot of the label, but I don't have an example to show here. The paste-over issues seem to appear almost at random, probably as a result of a gradual selling-off of the John Bull stocks over time, perhaps. 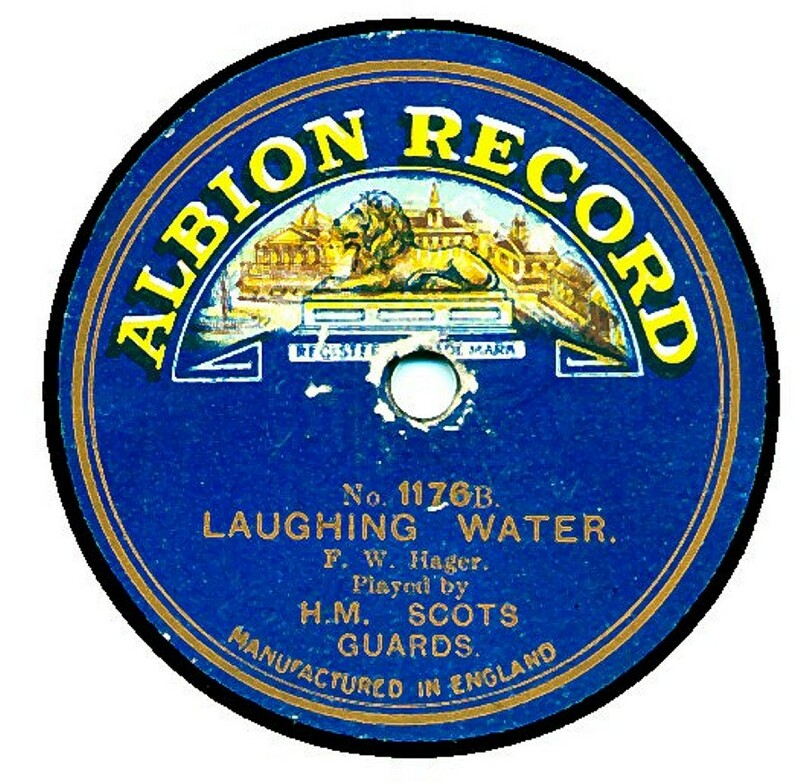 Examples are alos knmown of them pasted over Beka records, probably German-made stock being sold off after the outbreak of WWI. 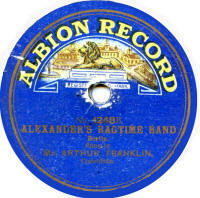 Most of the information here is from Frank Andrews, who has researched many early labels extensively, and whose research may be read in most issues of the CLPGS magazine "For The Record". Where I have conflicting information about an item, I will show two issues of the same number and a note about the source. 41408 Why Can't We Have The Sea In London? 40471 Alice, Where Art Thou? Kitty Dear Stanley Kirkby (baritone) Beka 512 ? 41579 Won't You Waltz Home Sweet Home With Me? 41054 What Is A -----? 40821 All I Said Was "Ha! Ha! Ha!" 13983 ? 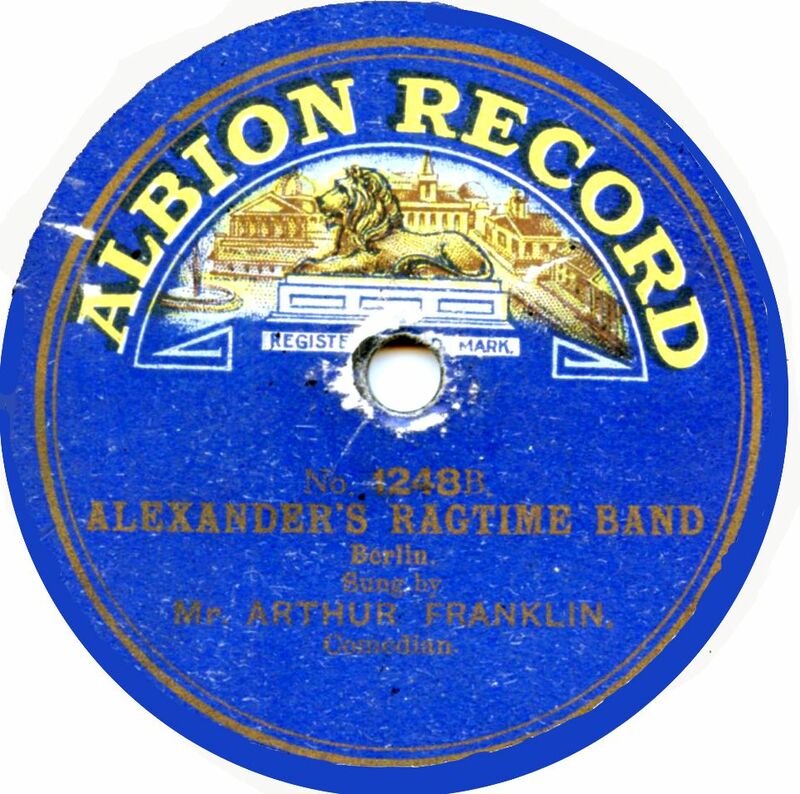 Faust, selection parts 3 & 4 Albion London Orchestra (= Beka Orchestra) Beka 559 ? Lxo-1148 Will You Sing This Glee With Me? 35214 Hey Ho! Can't You Hear The Steamer? 35390 What A Game It Is, Wow! Wow!